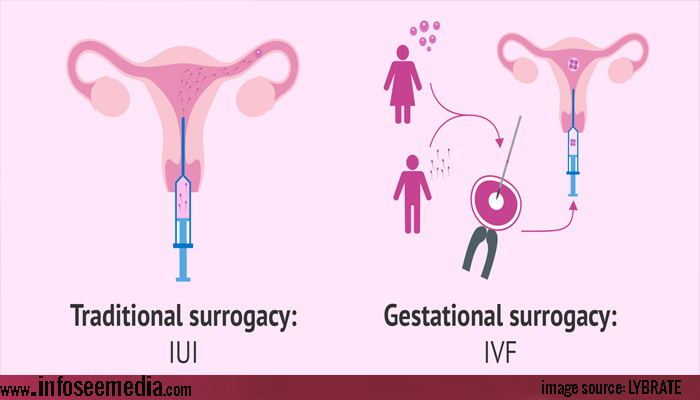 Surrogacy is a process in which surrogates(other women) gives birth to a child of other couples. Through this process those intended parents can start grow their families when they can’t do so on by themselves. It is used when a woman has infection in the uterus or she is not able to conceive for any other reason or a man is alone and he has no interest in marriage but needs a child. The surrogate woman takes care the baby for 9 months and then gives it to the real parents of that child. In Traditional Surrogacy only intended fathers sperms used in insemination and the resulted child’s genes are related to the his father and surrogate. This process is also known as partial, generic, natural and straight surrogacy. Gestational surrogacy is more advanced than traditional surrogacy. In this process an embryo is created using IVR(In Vitro Fertilization) technology implanted in surrogate. The resulted child is not related to the surrogate in this process. when embryo is created using the intended father’s sperm and the intended mother’s eggs. The resulting child is genetically related to both intended parents. when embryo is created using the intended father’s sperm and a donor egg where the donor is not the surrogate. The resulting child is genetically related to the intended father. when embryo is created using the intended mother’s egg and donor sperm. The resulting child is genetically related to the intended mother. Surrogacy gives new hopes to parents. It fulfills the demand of both parents and surrogates. Surrogacy gives the feeling of pregnancy to surrogates. It allows a link between child and parents. Surrogates get paid good amount of money. Surrogacy has a high success rate. Legal protection covers both parents and surrogates. It creates friendship between parents and surrogates. Surrogates must have to undergo screening, attend appointments and interviews and carry a baby for 9 months. Legal protection may vary in different countries. For surrogates it involves a significant time commitment. It costs too much money for parents. Some disputes may happen between surrogates and intended parents when surrogates does not want to give that child or parents does not want to take that child for any reasons. 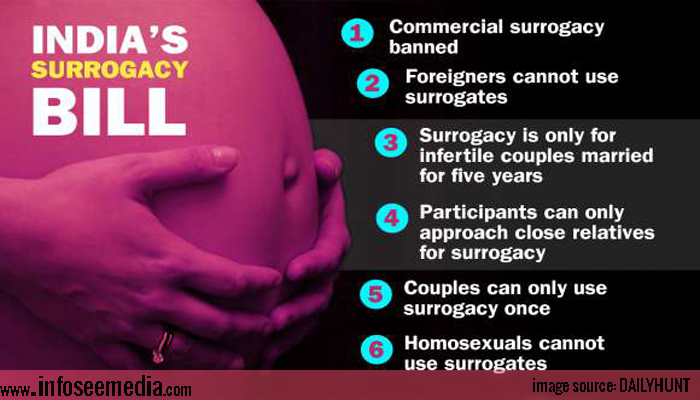 According to the information, most of the world’s surrogacies happens in India. If 500 surrogacies happens in world then out of that 300 happens in India. This facilities only available in limited cities like Gujarat and Mumbai. Surrogacy costs cheapest in India so most of the foreigners coming India for their surrogacy purpose. A surrogacy process cost in America is approximately $100K(7 million rupees) when in India it costs only $20K(1.4 million rupees) with all expenses. Due to lack of money females between age 18 to 35 agrees to become surrogate mother, They get an average of $6K and good food and quality life in this period. It also found in India that after birth some surrogate mothers denied to give child to the intended parents and some intended parents also denied to accept child if child was handicapped, so for this Government of India passed a bill in September 2016 in which all the rights of surrogate mother explained and surrogate and intended parents have to follow that in India.